We have been collecting these slowly, see the tips for purchasing cameras and index of all reviews to date. Mentioned I was behind blogging developments, so attempting to catch up with a large post. Several people have sets I want to announce. Also, Camera Toss itself is evolving and finding where it fits in the realms of art, photography, documentary, and the universe? _Nod is really good at making sure we keep a whimsical perspective on all this. Being a Matt Groening, Simpsons, and Futurama fan myself, this set had me ROLLING in laughter as I watched the slideshow. TV's and computer monitors make an infinitely variable subject for this technique, as you can control what images they display. Great for tributes such as this. And with just a fling of his camera, _nod has transformed the static images on the television into wonderful popular culture art! It's even appealing to me, despite the fact I have a general dislike for television and most of its' programming! We will no doubt see alot more of these holiday sets. Winter is here and so are the holiday decorations! Absolutely irresistable to throw your camera around them! Tis the season for kinetic photography! Addictive indeed, even I have a photo set in the works of unplanned holiday light tossings. I've done very little expounding on what I feel "Camera Toss" is all about online, which is probably good because everyone has their own opinion on this, and their own reasons for viewing results or using this technique. But one thing is for sure, if it was as simple as "see what a thrown camera looks like", we would have done it once, and never looked back. Obviously that is not the case. Kinetic Photography, a missing chapter in the sphere of kinetic art (wikipedia)? Hyperkinetic photography (hyperkinesis on dict.org) happens all the time, since hyperkinesis has to do with motion and kinetics from muscular action, anyone who has played with moving your camera around during shooting has explored this effect. But what about kinetic motion of the camera documented through a photograph without that animate or a mechanized influence? Restricting influence to just 'natural' kinetics, say physics? Camera Toss! And more broadly when the natural motion is not specifically an airborne camera, moving but not in a mechanical or hyperkinetic way: Kinetic Photography. Not just photography having a kinetic aspect, but photography about kinetics! Admittedly the phrase itself is not a new term, but typically applied to describe photography or cinematography that has a kinetic feel or deliberate motion to affect the resulting image of a familiar subject. With Camera Toss, and now a hundred other kinetic photography experiments I can imagine, the dominant subject tends to be the kinetic event and motion itself! Neat stuff. It is amazing what can come out of the practice of giving yourself a rigid set of criteria, and then just exploring every aspect within that tiny realm. So here is another interesting development, one that I feel strikes a chord with what i've just been talking about. If you set out to use your camera to take pictures that resemble NASA's Hubble Space Telescope and it's amazing images of our universe, what exactly would YOU do? Well eastofnorth has set out to do exactly that!! Who'd have thought this possible? With her strong understanding of camera tossing and the possible effects, she choose a light source carefully that might help her in the quest. And voila! I'd say she's gotten the result she was looking for! At the very least she's discovered a new nebula! 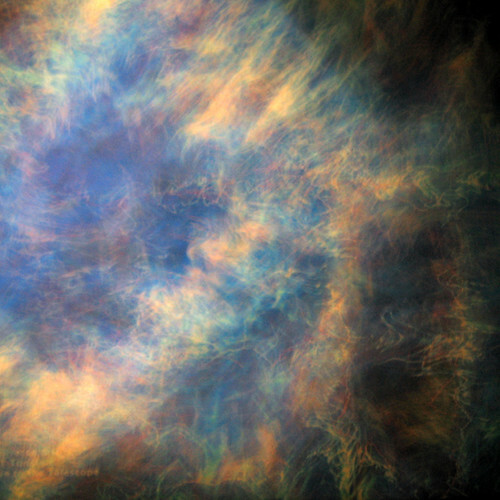 The first image is a picture of a real space nebula, the second is a photograph (cropped only, no digital editing) taken by eastofnorth in the comfort of her own home. It just goes to show that employing kinetic photography is truely taking a picture of physics in action, and the results and possibilities are often cosmic, which kinda makes sense in a weird way. The universe is governed by the same laws as the camera in motion. And the results definitely can reflect this connection. This is all getting quite exciting! 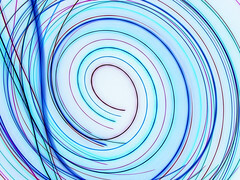 The appeal of a camera toss imagery inverted to negative seems to be pretty universal. _nod has published his first series of negatives resulting in a rather electric blue on white effect. He also has a nice ordering to the set so the slideshow is my recommended method of viewing. I'm a little behind with the blog, a few other people have sets I'd like to showcase, but must sleep now, here is a gorgeous new fish-eye toss from phrenophile to tide you over until I get around to it. 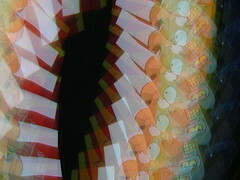 What happens when you combine the activity of camera tossing with a big easily scratched lens? Well the risk goes up a notch, but perhaps so do the rewards! This series by phrenophile is quite unique, and growing a little every day! He recommends viewing them as a slideshow. What strikes me about these is the fact that in some, you can hardly notice the fish-eye. It almost looks like a circular cropping. Such is the nature of working with subject matter that is often chaotic and already smattered with wonderfully fluid curves. In others however the effect is lovely! He's also reverse engineered the photoshop effect of amazing circles that I blogged previously and has produced similiar results entirely in camera! 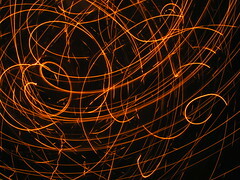 There have been so many requests for some instructional content on how to camera toss and what is camera toss! Finally we can accommodate you! A short beginners guide written by _nod. Consider these both draft documents, direct questions and corrections to the authors respectively or just leave a comment! Separately, a photography link of the day, unrelated to camera tossing but very very cool: Variable Focus Light Field Photography. In shooting and processing this series I was inspired by comparisons that have been made of camera tossing to other mediums and techniques. Drawing from more traditional media such as calligraphy, charcoal, conte crayon, painting, drawing, and even photograms... View the whole series or slideshow. I elected to de-emphasize the color and concentrate on the relationship between texture and motion (stroke). 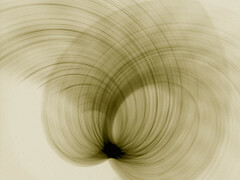 Even the subject was created to have the properties of the nib of a calligraphy pen, a linear slit of light and texture. Just wanted to point out that alot of us enjoy normal photography too. Considering this blog actually has traffic, I'm going to try to take time every now and then to point out some of their more outstanding work as I come across it. 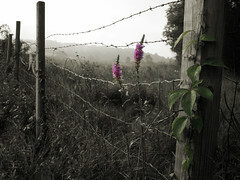 The one above was a recent photo of mine, one I consider my best of late.